In a mobile optimised world, Retailers are developing Apps that offer much more than just display products for sales. They are aiming to gain customer retention, and for that end Apps are looking to shape the in-store experience, empower the purchasing process and create new ways to interact with customers. In the grocery sector, retailers offer their customers the possibility to shop on these apps, helping them to save time and money. Consumers can start and finish an order via their smartphone or online. The most common features are: view all the special offers, search for products and add to basket, view previous orders, store locator, information about opening times, amend or cancel an existing order, book a pick up or delivery slot. Tesco goes beyond these features and try to inspire their customers with recipes and all the ingredients can be added to their shopping basket. 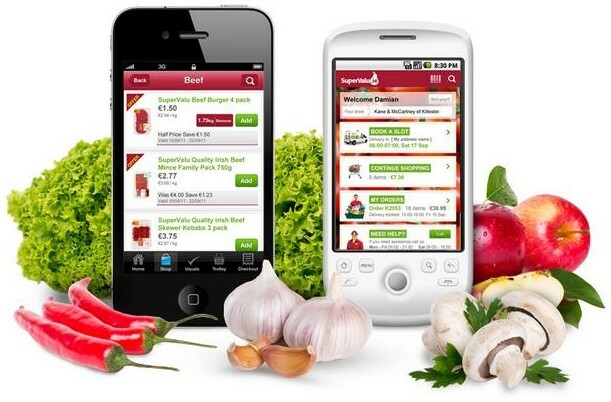 Another example is the SuperValu App, which offers a barcode product scanner, whereby consumers can use from home to check if a certain product is available in-store or on discount. On the other hand, the App for 7-Eleven, an international chain of convenience stores, headquartered in Texas, sends coupons to the consumers’ App, to encourage them to visit a store and redeem them. For clothes retailers, apps offer the following features: browse clothes directory, outfit inspiration, zoom tool, store finder and sizing guide. Besides all the regular functionalities, the retailer Next displays also in its App the latest key trends in its App and if customers check out before 10 p.m., they will be able to receive their favourite picks the very next day. 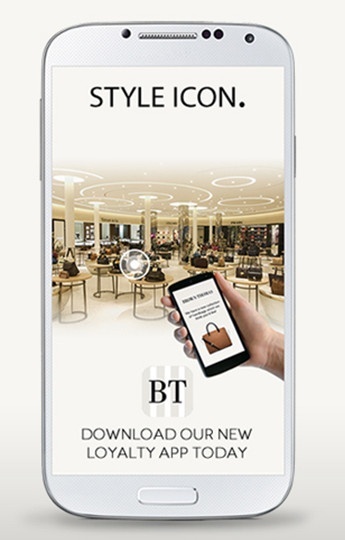 Brown Thomas has a loyalty App, which allows the possibility to book direct appointments with a Personal Shopping expert, receive special offers, notifications and digital receipts that can come handy when customers want to return a piece of clothing but they lost the receipt. For customers that are more into casual clothing, Hollister allows them to swipe the jeans image to flip between front and back view and scan clothing styles in-store and the App will build complete customized looks with photos and exclusive style tips. They also have a guide to help understand the best style of jeans to choose from for your shape. 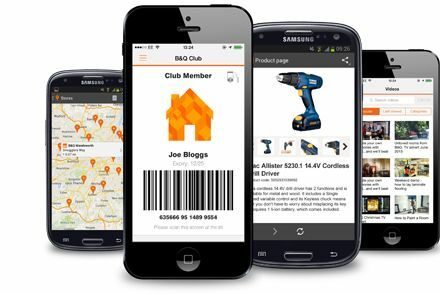 The apps for DIY stores usually offer the options to browse products, order on the go, check store available, reserve products, 360º images to fully product view, access to latest offers, barcode scanner and store finder. Retailers like B&Q and Homebase include videos on their Apps as a way to inspire their customers, as well as to guide them in their DIY projects. When Retailers decide to create an App, they must keep in mind that this tool must add value to the store experience and offer new ways to interact with customers and generate engagement. According to the nature of the business, the features to display will vary; but always keep in mind customers’ needs and what features can be included to make your app different from the rest.